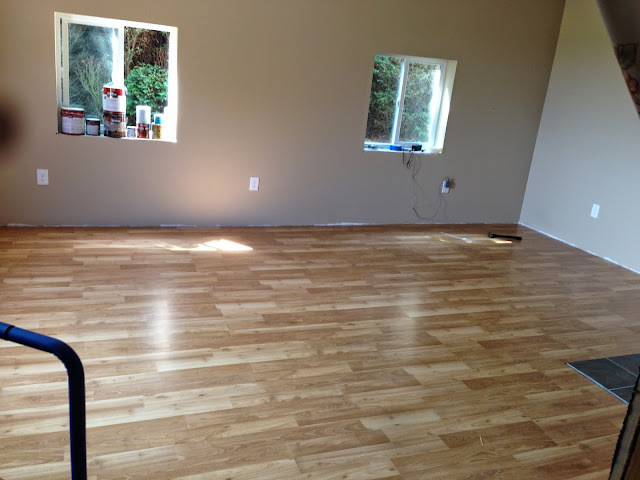 Our laminate floor got delivered on May 28th and Andrew installed them on the 31st. When we put laminate down in our main living space a year, year and half ago, we bought it at Costco for super cheap. We had seen the same floors there several times while working on this project and had planned to buy them again. About a week before it was time to installed, we called Costco to check how much they had in stock and they had stopped carrying them. The brand, Harmonics, had stopped making that color, switching it out for a different color. There were a few Costcos within the Greater Seattle Area that had a few boxes left in stock, but none had as much as we needed. There was a hilarious and frustrating day where Andrew called 10 stores (or more) and had them check their computer inventory, then their floor stock (sometimes different) and tried to arrange people to pick up boxes of laminate for us. Costco will only hold stock for the same day...so it felt a little crazy to coordinate. After hours spent trying to organize and arrange picking up enough, we finally had to call it quits. It seemed like someone else was trying to do the same thing and boxes that were there when we first checked, would be gone when we tried to put them on hold. And we just couldn't get enough for the whole room. So we gave up on that idea. We ended up ordering them from the manufacturer and had them delivered. For quite a bit more. Along the way, we decided to buy enough to redo the last two bedroom areas so we wouldn't run into this problem again. 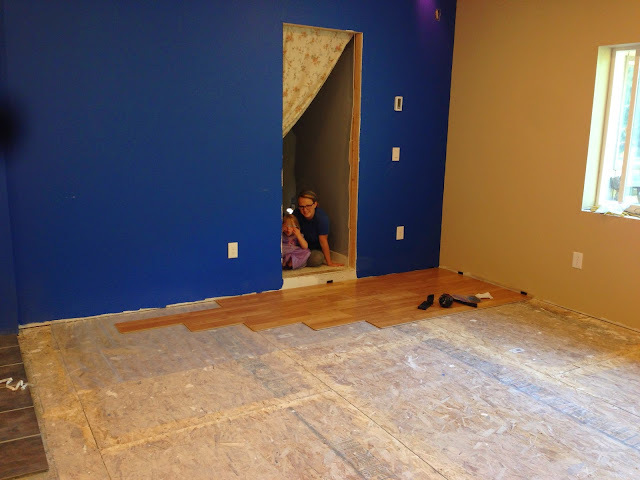 It will be so nice to have the same floor throughout the whole house! And Andrew having a little look around with the video camera. Floors only took one day, but it made such a huge difference!